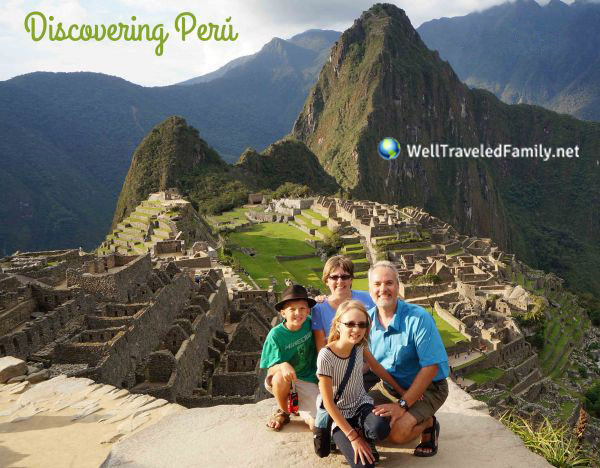 Peru is a country in South America that’s home to Machu Picchu, an ancient Incan city set high in the Andes mountains. The area surrounding Machu Picchu, including the Sacred Valley, the Inca Trail and the lively city of Cusco, is rich in archeological sites. A wide variety of outdoor activities abound including hiking, rafting, and mountain-biking opportunities. The country is situated on the western side of the continent, facing the South Pacific Ocean and straddling part of the Andes mountain range that runs the length of South America. It is bordered by Ecuador and Colombia to the north, Brazil and Bolivia to the east, and Chile to the south. As we planned our voyage to the Galápagos Islands, we knew we would take in as much of Ecuador as possible. When my husband suggested we extend our holiday and take in Machu Picchu as well, I was over the moon delighted. I never imagined that I would have the opportunity to travel to two dream destinations in the same voyage. We have certainly been blessed and I am forever grateful. As we had booked our tour of the Galápagos with International Expeditions, we decided to continue onto Machu Picchu with the same company. Little did we realize how much we came to enjoy traveling with a group (more on this in another post). This page chronicles our experiences in Perú including the foods we enjoyed most, hotel reviews, and hidden gems we discovered along the way.